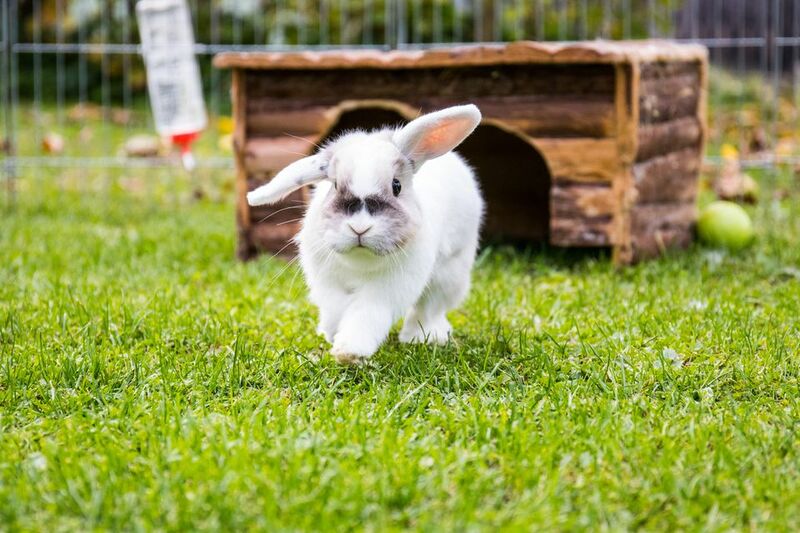 Rabbits are very popular pets, and their lifespans have lengthened over the years thanks in part to the quality of care they receive from their owners. We know that many things can affect the lifespan of a pet, and rabbits are no exception. Domesticated pet rabbits are not the same as those wild cottontail rabbits you see in your yard. Oryctolagus cuniculus is the Latin name for a pet rabbit species, while wild rabbits are Lepus sylvaticus. This means that pet rabbits and wild rabbits are technically different species even though that are distant relatives and from the same family. Over the years, rabbits have been used for food and fur, but since the 19th century they have also been cared for as beloved pets. In the late 20th century, rabbits were beginning to be more commonplace in homes across America and they have grown in popularity ever since. As more people discovered the wonderful personalities of pet rabbits, the care they gave them improved and therefore lengthened the lifespan of house rabbits. While the average lifespan of a pet rabbit is, according to the House Rabbit Society, about eight to 12 years old, certain breeds of pet rabbits are known to live longer than others. Just like dogs, miniature or dwarf breeds of rabbits tend to live longer than giant breeds. Dwarf rabbits, mini lops, and other little bunnies will typically live to be in double digits, while large breeds, like French lops and Flemish giants, won't. A rabbit, just like any other animal, has specific nutritional requirements and we know that what we feed our pet rabbits has a direct effect on their lifespan. Nutrition goes hand in hand with the overall health of a rabbit and if it isn't getting the appropriate vitamins, minerals, fiber content, and other ingredients in its diet, it isn't going to be healthy and therefore it will not live as long. Special pelleted diets for rabbits, hay, and vegetables should make up the diet for a pet rabbit. Some treats and fruits can be given in moderation but if an unbalanced diet is fed, it will result in an unhealthy rabbit. Some people will only feed their rabbits pellets from the pet store, but this may be lacking in vitamins and minerals that a rabbit needs. In addition to the food you feed, many things play a role in the health of your rabbit. Rabbits can develop illnesses or get parasites, and if left untreated, these health concerns may shorten your rabbit's life. Practicing good hygiene by washing your hands before and after handling your rabbit, as well as regular cage cleaning, are good ways to keep your rabbit healthy. Regular check-ups with your veterinarian will also help catch any problems that your rabbit may be developing before its too late to do anything about it. Spaying or neutering your rabbit can also help lengthen its lifespan. Female rabbits are prone to mammary and uterine cancers and male rabbits can develop testicular cancer. By getting a rabbit spayed or neutered, you will drastically decrease the likelihood of your rabbit developing cancer and therefore increase its odds of living a long life. Rabbits need a lot of space and mental stimulation, but unfortunately many people think they are happy being kept in a cage their entire lives. Rabbits, while able to live indoors or outdoors, need large areas, such as a bedroom, to call their own, as well as toys, things to chew on, and items to play on. Rabbits that don't get the proper space and enrichment aren't usually as healthy as those that do, and therefore may not have as long of a lifespan as they should. It is also important to provide a calm home for your rabbit. Extreme amounts of stress can actually cause your rabbit to die. Being taunted by a cat or dog, grabbed by a child, or being hurt can result in your rabbit going into shock and dying. Hazel, a miniature gray rabbit, holds the record as the oldest pet rabbit that ever lived. Hazel passed away at the age of 16 years and lived in the United Kingdom. Prior to Hazel, the record was set by another pet rabbit who lived to be 14 years old. Most rabbits don't make it into double digits, so to have a teenage rabbit is quite the achievement as a pet owner.